This series delves into the unknown, taking Jeremy Storyteller and his wife Kate to places few people ever go. There is an exploration factor here that delivers them to shadowy doorways, where they meet powerful forces of evil in unconventional ways and wish that they hadn’t. The characters you will come to know throughout this series will remain with you, sometimes in your head, as you sit idly thinking, and other times in your dreams. They will cause you to ponder what lies beyond this life and who will be there when you arrive there… and arrive you will. The struggle between good and evil has been going on since God created existence. It is seen in the Holy Bible, other books, movies and tales told around campfires down through the ages. There is always a goodness and an evil’. Is this the driving force of the universe? Of course it is and it is played out on that giant chessboard often referred to as life. 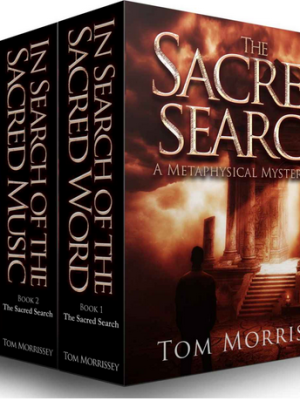 The difference in the “Sacred Search Metaphysical Mystery Series and many other story lines is it might just cause you to wonder who is who and which is which? Lead character Jeremy Storyteller uses his abilities as a writer, musician and martial artist to overcome the dragons he must face after a near-death experience which opened a dark door to the other side. He and his family are tested throughout and reach out in the stillness for hands of fire to light their way. Come on this incredible journey with the Storytellers and see if at the end, you feel the same as you did at the beginning. You may have a different reaction to the dark. 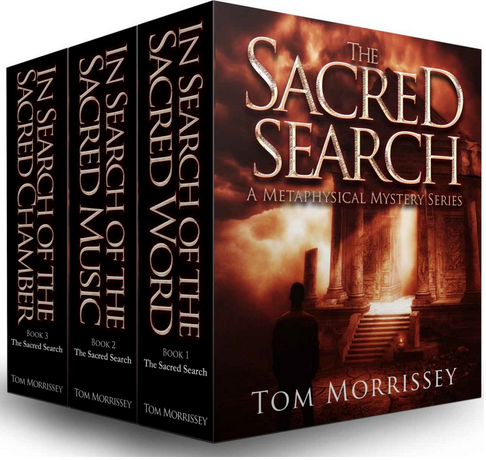 You may see something different when you enter a church or stand on sacred ground. You may think you hear children’s voices off somewhere in the night or maybe as you are awakened from your sleep in the dead of night. You may think you see people who you haven’t seen in years, and they don’t look any older than they did way back then. Come on… let’s get started… Jeremy is waiting with his story to tell.